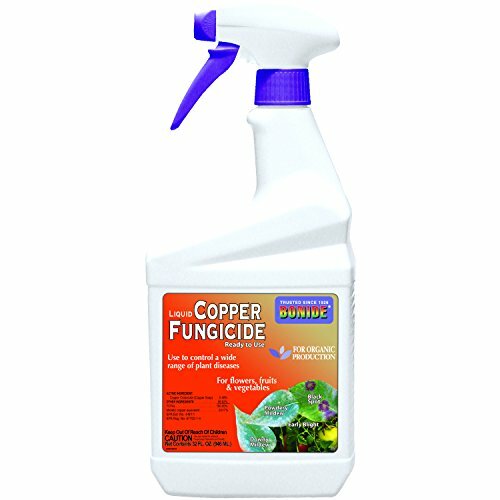 32 oz., Ready to Use, Copper Fungicide. Copper Sulfate 7.0% for controlling early, and late blight, leaf spots, downy mildew, anthracnose, and certain other fungal diseases on various vegetables, flowers, ornamentals, and fruits. Formula will not burn plants. Contains Copper Octanoate, which is a Copper salt combined with a naturally occurring fatty acid. Comes in an easy-to-use bottle.